Join us January 19th, 2019 at RC Cola in Wynwood for our 12th edition of Life In Color Miami. Featuring music, art ,and the Life In Color Paint experience. 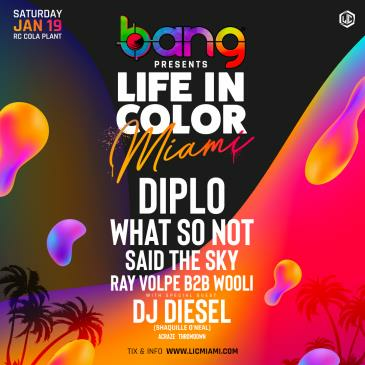 At LIC our fans are the color to our canvas so we invite you to step out of reality and into our world of Life In Color!